Dorothy retired from films when she married Arthur and never returned to her busy life in Hollywood. She was destined to fulfill her lifelong desire to live on a farm. That farm would be located in what would be the future Village of Hoffman Estates. 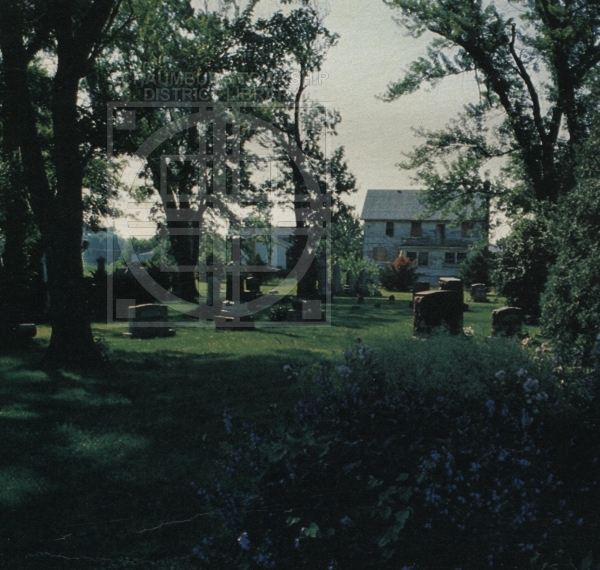 In 1943 she and Arthur purchased the Gieseke Farm, located just south of Bode Rd. and west of Roselle Rd, from John and Edwin Gieseke. They called the farm Cardoa Farm. Anton Remenih , reporter for the Chicago Daily Tribune, interviewed Dorothy and Arthur in their unassumingly simple yet cozy farm living room. It was Aug., 11 1946, a busy time on the Hammerstein farm. Dorothy was raising a herd of prized Holsteins and Duroc Jersey hogs. “Dorothy was content.” But Arthur said “It is I who named the place Headacres. This is “Mrs. Hammerstein’s project” he said. He would have much preferred to be back working on Broadway. Having been a successful writer of light opera on Broadway, he found it hard to be retired and living a quiet rural life. 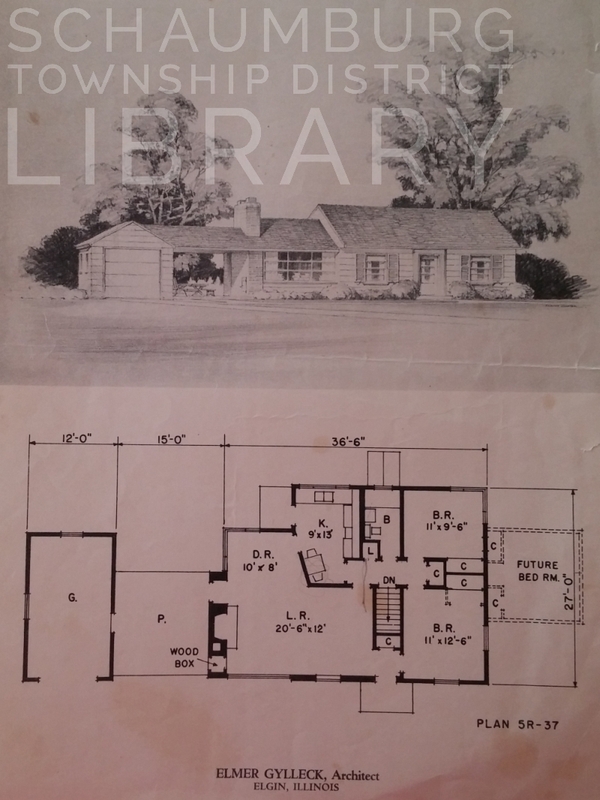 Dorothy enjoyed remodeling their 100 year old farm from a small house to a 5 bedroom, 7 bath home with servant quarters and surprisingly, a kitchen in the basement along with the wine cellar. 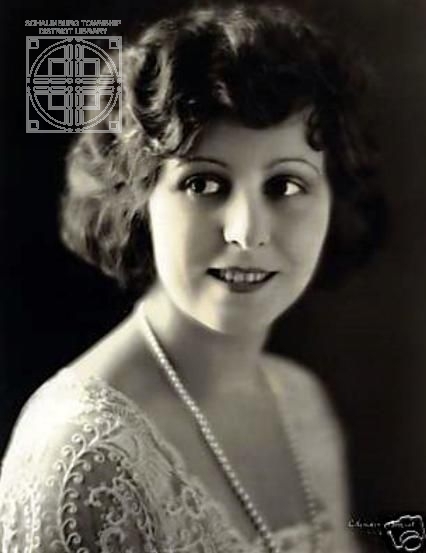 She brought along her lifetime collection of antiques as well as autographed pictures of Victor Herbert and others who starred with her during her silent movie career. In addition to remodeling the farmhouse, Dorothy and Arthur added several barns and new silos to house and feed the cattle, hogs and horses. Feed for the animals were grown on their 275 acres. 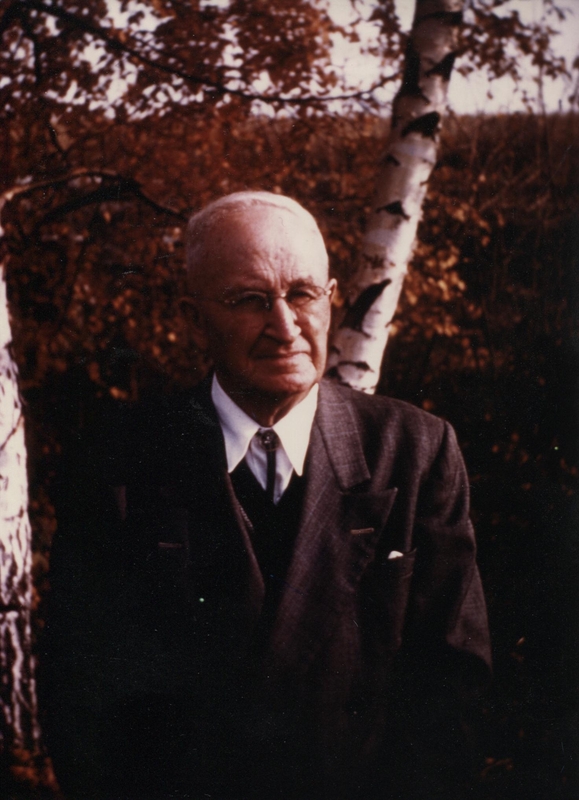 It was a beautiful and well maintained farm that would soon be sold to F & S Construction upon the death of Arthur on October 12, 1955. It had been just 12 short years that Dorothy had lived her dream of being a farmer. She moved back to New York to be with family and friends until her death in April of 1972 at the age of 78. 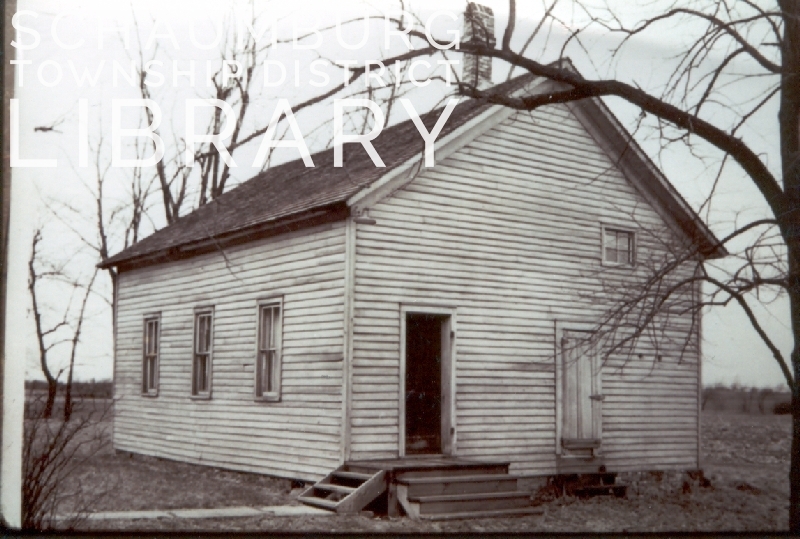 The farm that Dorothy loved so would become our most historic piece of property–our first village hall, police department and public works department. 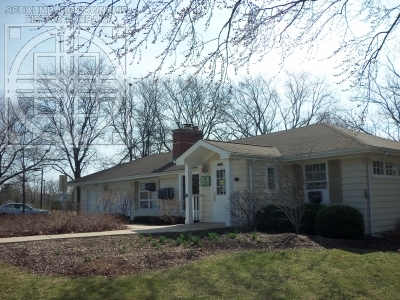 It is now the Children’s Advocacy Center on Illinois Blvd. in Parcel C.
Our guest contributor this week is Pat Barch, the Hoffman Estates Historian. This column originally appeared in the June 2018 issue of the Hoffman Estates Citizen, the village’s newsletter. The column appears here, courtesy of the Village of Hoffman Estates. Considering the 1847 date, it was likely that his parents were original land patent owners. During the years 1846-1848 the government sold cheap land to anyone who was interested in buying it. And, sure enough, John’s father, Henry Homeier (as it was recorded), is listed as having purchased his 40 acres on March 1, 1848. His property was in section 34 in the southern part of the township along what is now Roselle Road. You can see his name in the center at the bottom of this plat map. 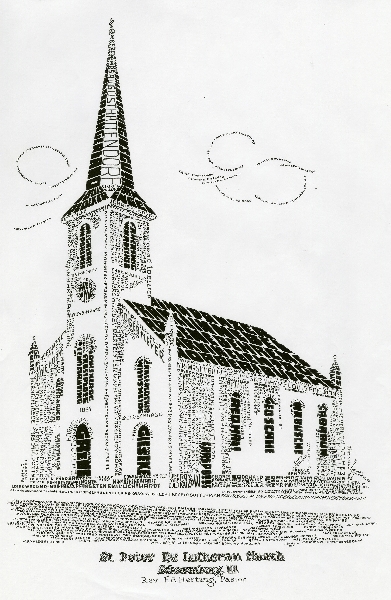 The other notable thing about the date is that he was born just as the original St. Peter Lutheran Church building, as shown below, was being built and dedicated. The chances are very good that he was baptized at this church but we can’t say for sure because baptisms were not officially recorded until 1858. So, think about that. It was 1847. 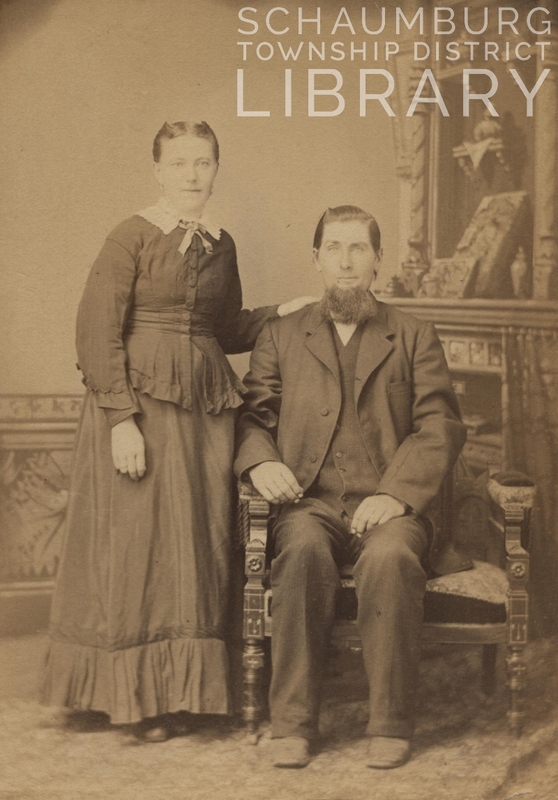 At some point prior, John’s parents, Henry and Sophia (Thies) Homeyer, who had married around 1840 in Schaumburg, Germany, made the difficult decision to leave their family and friends, likely forever, to come to the United States. They made the long, harrowing journey across the Atlantic on a sailing ship with a number of other people from their Lutheran church. Travelling overland to the wilds of Illinois, they settled in an open space west of the recently incorporated town of Chicago in a township that was laid out but not yet named. Within a year or two of arriving they discovered that Sophia was pregnant. 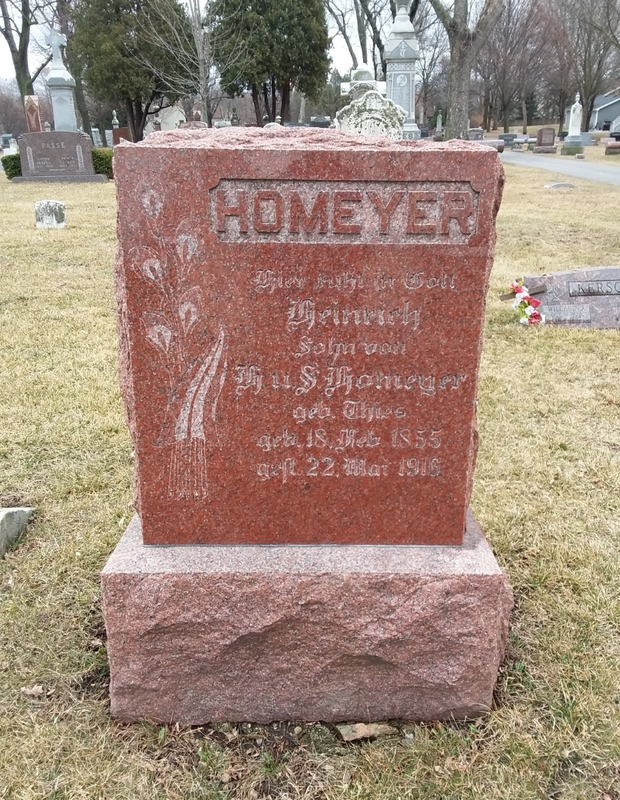 Their oldest son, Johann or John, was born November 19, 1847 just as a church was being formed for the rather large German Lutheran contingent that was making their home in the township. In the following spring, on March 1, 1848, after having occupied their land for a year or two, Henry made the trip into Chicago to finalize the purchase of their forty acres. Eight years later, in 1855, Henry and Sophia had their second child, Henry. John was later confirmed at St. Peter’s on April 13, 1862 at the age of 15. 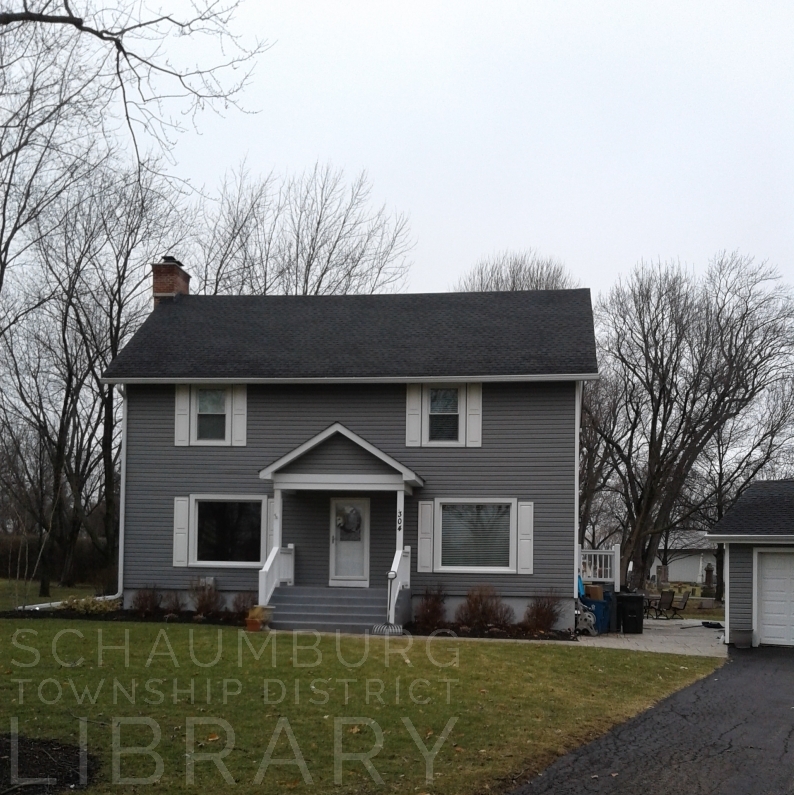 He helped his father on the farm that had expanded to include acreage on the northwest corner of Roselle and Wiese (Wise) Road. By 1878 he had met Caroline “Lina” Baumann who emigrated in 1874 from Mekelburg in Schwerin, Germany. They married on July 3 at St. Peter’s Lutheran Church with Reverend Henry Schmidt officiating the service. 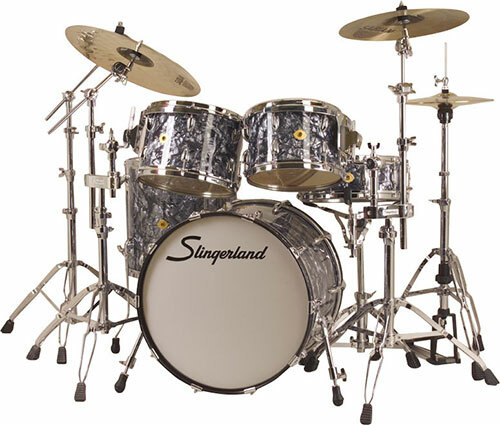 They are pictured below. In May of 1879, they had Sophia, their first daughter. Two years later, on May 5, 1880, Henry Sr. died and was buried at St. Peter Lutheran Church. John and Henry subsequently inherited the farm. 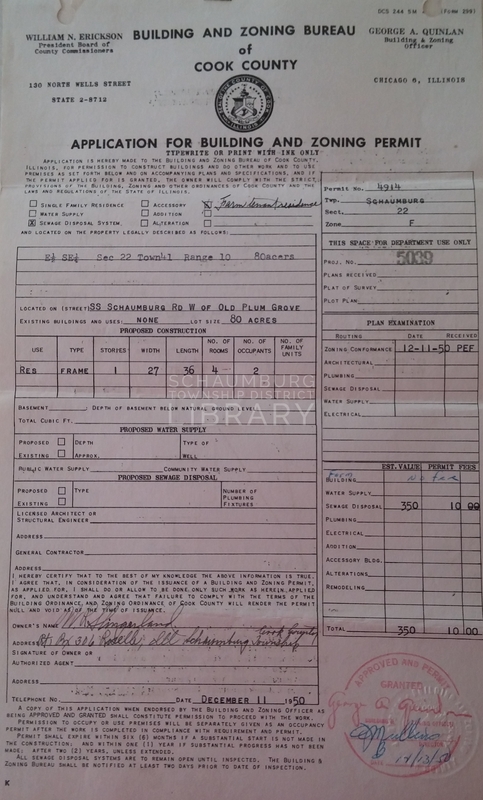 Judging by the 1880 census–in which Henry Sr. was still listed–the farm contained two households. Henry, Sophia and Henry Jr. were listed as one household and John, Lina and Sophia constituted another. Sophia, his mother, died in 1888 and was buried beside Henry as noted in the tombstone above. In the 1900 census, their son Henry Jr. was listed as unmarried and was living with John, Lina and their family, in the same household. Other children had followed for John and Lina and were born through 1895. They included Wilhelmina, Emma, John, Henry, Martha, Caroline, Herman and Emil. Unfortunately, Martha and Herman died when they were five and one, respectively. 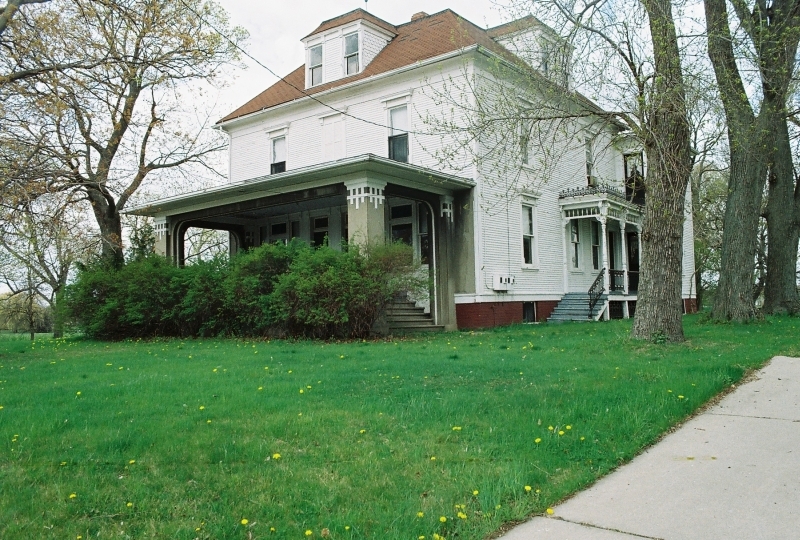 Around 1913 John and Lina built a new two story home for their big family. Three years later in May 1916, John’s brother, Henry Jr., passed away and came to the end of his farming days. By the 1920 census John and Lina were listed as their own household and lived in the farmhouse with their oldest son John, his wife, Martha and their young daughter Viola. Then, in February 1922, Lina died at the age of 67. Unfortunately, their daughter Emma died the following year in 1923. After the death of Lina, John continued to reside with John Jr. and his young family which had grown to include another daughter, Esther. John lived another 17 years and died at the age of 91 on October 25, 1939. It is an amazing feat to have been born in 1847, in what was probably a rudimentary shelter, marry, have children and prosper. And–and–to have it all begin in the same year that St. Peter’s, the crux of this loose community, was forming. 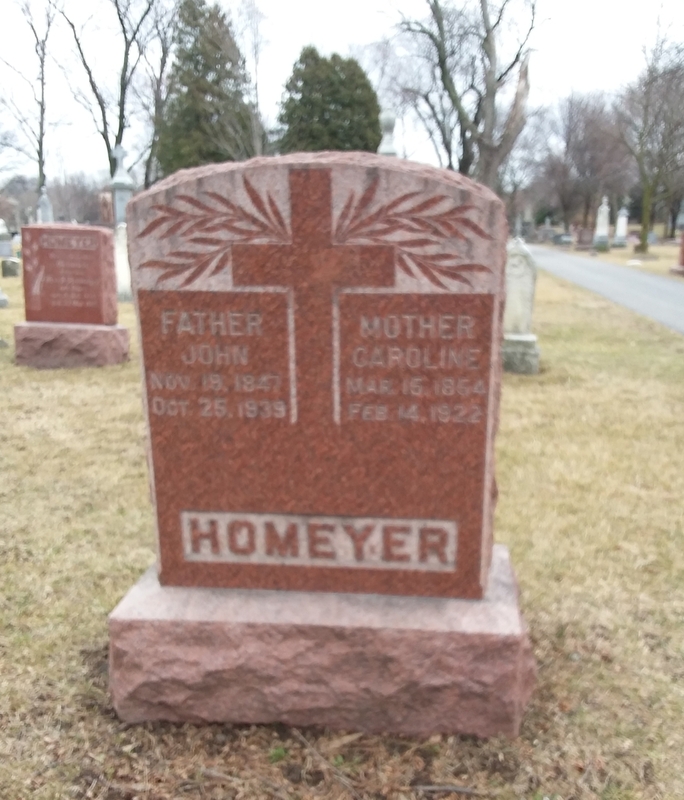 Would I have ever taken note of John Homeyer and his remarkable life if I’d not seen that obituary? Maybe. Maybe not. It reinforces how vital an obituary is in recording a person’s history. They are a wonderful way to track people and the life they lead, whether brief or long–because everyone deserves to have their story told. Many thanks to Larry Nerge for the work he did in putting together genealogies of the German farm families of Schaumburg Township. 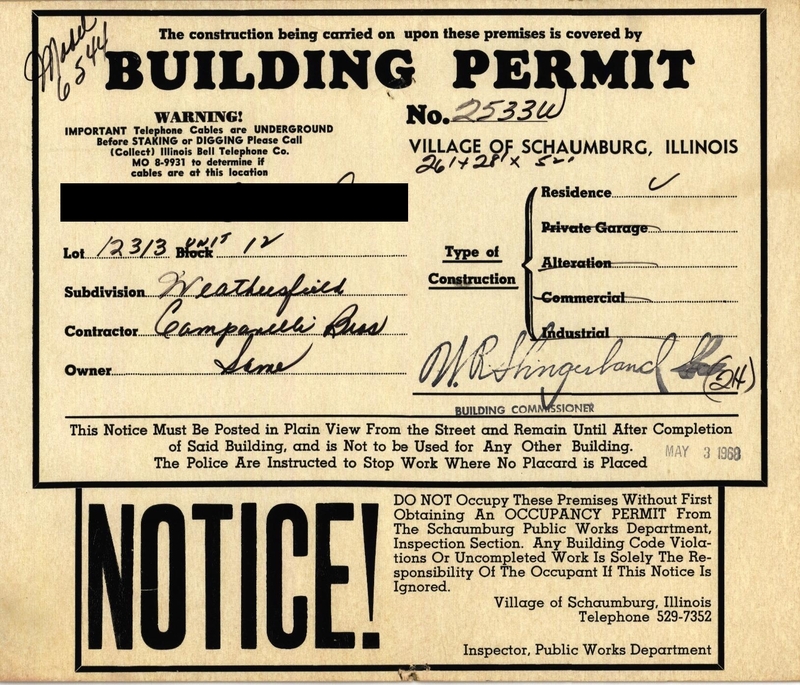 They are invaluable and many of them are available in the Document section of the Schaumburg Township District Library’s Local History Digital Archive. I am pleased to share the photo of John and Lina Homeyer that comes to us, compliments of Pastor John Sternberg, who was the pastor at St. Peter Lutheran Church for many years. Because he came at a time when many of the German families were still in the township, he crossed paths with them and he, too, became interested in their history. As a result he actively tried to obtain photos, documents and archive items from them and their farms. After he passed away, his daughter graciously gave us his collection. This photo was part of it and reinforces how saving your photos is a good idea too! 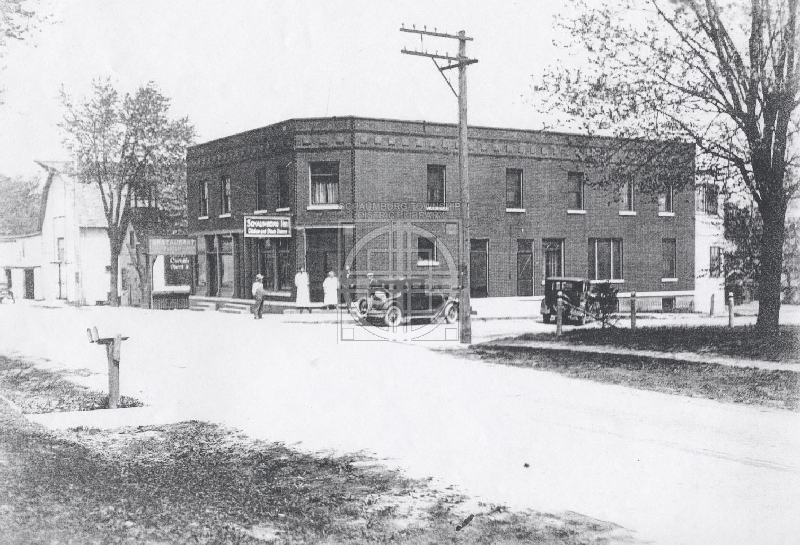 For years Frank Lengl owned and operated Lengl’s Schaumburg Inn on Roselle Road. This is the building that is now known as the Easy Street Pub. 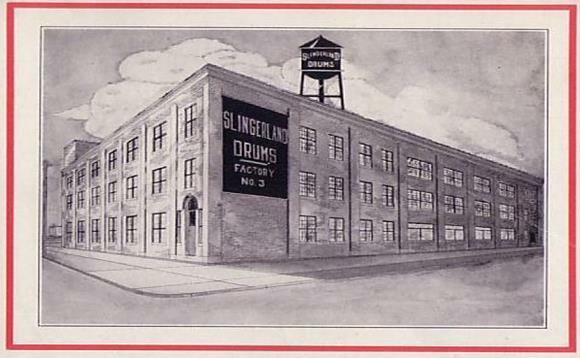 Lengl purchased the business and surrounding property in the late 1910’s and owned it until his death in 1965. Born in Germany, Mr. Lengl immigrated to the United States in 1914 according to the 1930 census. 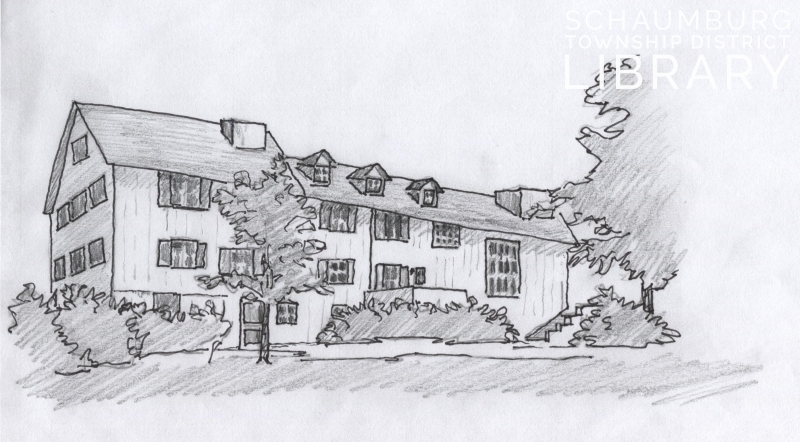 He never forgot his homeland and it was evident in the menu and the atmosphere of Lengl’s Schaumburg Inn. In a 1959 issue of the now defunct, The Higgins Herald, an article was written about a trip Mr. Lengl, who was in his 70’s at the time, took to Germany to visit his birthplace and his relatives. It is reprinted here in its entirety as it was written and is an interesting perspective of post World War II Germany and Europe. For instance, rather than renting a vehicle while he was there, he bought one instead and resold it when he left! Enjoy his take on the parts of Europe he visited. Frank Lengl of Quindell rd. 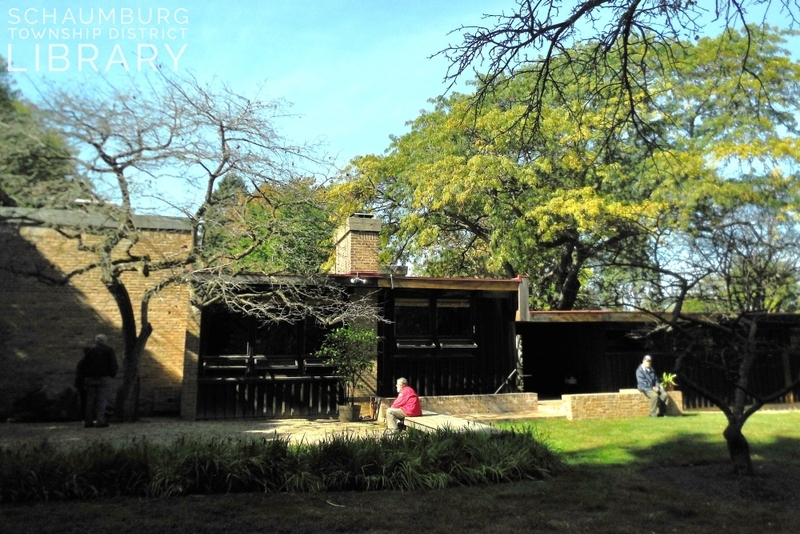 in Schaumburg Center recently returned from a trip with his niece, Hanna Heinle, to Europe. They left Schaumburg March 12 for New York where they sailed on the S.S. America for Bremerhaven, Germany. In route they stopped ove[r] in Ireland, Le Havre, South Hampton, and finally in Bremerhaven. The two took a train to Augsburg where Mr. Lengl bought an Opel automobile. This transaction took one day. They arrived in Augsburg on Monday and owned an Opel on Tuesday, with license plates and full insurance. Mr. Lengl was born near this Bavarian city 73 years ago. He lived and grew up there to become a butcher. He continued this trade as a sausage maker when he came to America in 1912. 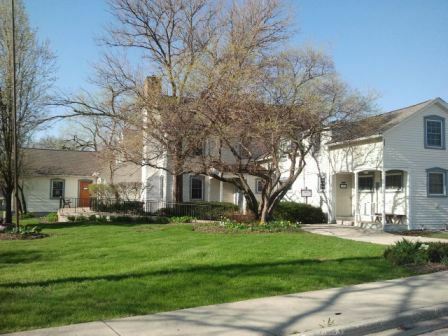 In 1922 he move to Schaumburg Center and has lived in his large brick house on Quindell rd. since then. He calls the change the “difference between night and day.” The big industry going on is the textile industry. Other industry in the city that is new since he left is a Messerchmidt airplane factory and the Maschineenfabrik Augsburg-Nurnberg factory which built the engine that powers the Hanseatic, the ship which brought them home again. This factory makes the Deisel engines, and was started by the man who invented the Deisel engine that bears his name. Mr. Lengl was especially pleased with the new highways. He said that he considered the Autobahn as fine as our turnpikes. As he drove all over Europe he was glad to have such fine roads. They also travelled in Austria, Switzerland, and France in their car. He said that there were many soldiers stationed in Augsburg but that they were nice to the people and brought in a lot of money with them, so were well accepted. Apparently, he said, the military police are quite strict. The Lengl home is still standing but quite different from the building that Mr. Lengl knew as a young man. The war hit all of the neighborhood but it is still built up again now and town is in fine shape. He said that many of the people were prosperous and unemployment is nil. Property is very expensive for this reason. Everyone has money and some hold land as well. The land is valuable with the post-war growth and the land owners can ask a very high price. Mr. Lengl commented on the large number of displaced persons in Germany. He said the persons from Checoslovakia [sic] who owned a business in their home land valued at 200,000 marks would be set up in business by the German government at the same cost. Both Mr. Lengl and his niece were amazed to see snow on the ground in the Bavarian mountains on May 1. The valley was all green and warm and the mountains [sic] top were white with snow above 1200 meters. Prices compared quite favorably with Americans [sic] prices. A dinner, for example, that would cost $3.00 here would run $1.00 there. A good men’s shirt there would be about $3.00, and a pair of Italian impored [sic] woman’s shoes was only $15.00. His niece bought a Dendel for about $15 and a camera priced at $300 here for $150. They visited with relatives on the trip who are still in Augsburg. Other articles on the Easy Street Pub may be found here and here. Gratefully reprinted from The Higgins Herald. Higgins Publishing Corp., Hoffman Estates. P.O. Box 295, Roselle, Illinois. July 16, 1959. Vol. 1, No. 24. 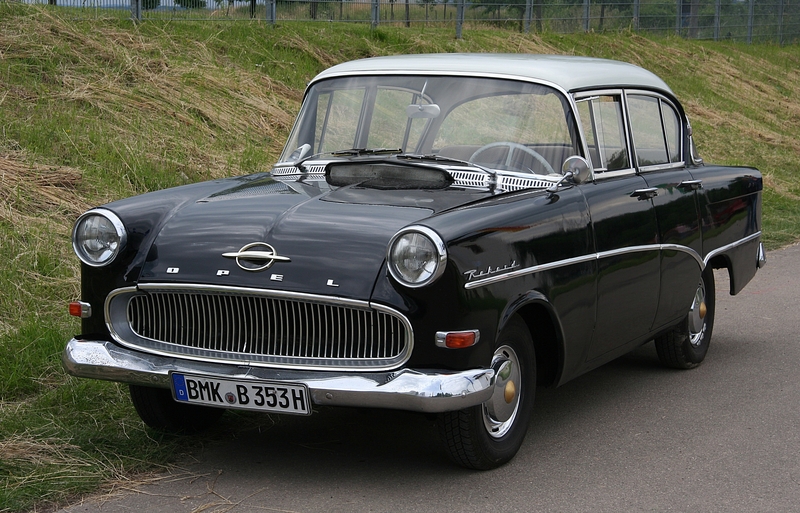 The Opel photo is gratefully used from Wikipedia’s page on the Opel Olympia Rekord P1. In December 2015 I wrote two blog postings about the beginning of School District 54 and the variety of names given to the schools within the district. One of the schools is named for Adolph Link, who was active in the formation of the school district. Papers on the naming of the school were recently passed on to me by Sandy Meo who is a long time volunteer with Spring Valley and the Volkening Heritage Farm. They were given to her by Mary Lou Reynolds, the daughter of Adolph Link. 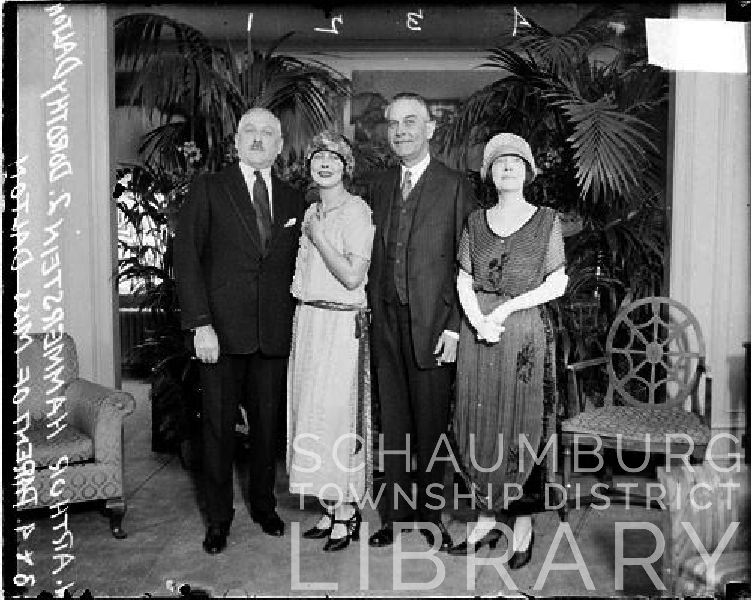 Mr. Link and his wife, Estelle, moved to Schaumburg Township in 1932 with their two children. They lived on the southeast corner of Schaumburg and Plum Grove Roads, near the Redeker farm–all of which is now part of Spring Valley. Both his children and grandchildren all attended schools in the township. Following his retirement as a commercial artist, Mr. Link continued his artwork. Not only did he like to paint but he was also did “chalk talks” in District 54 schools and became known for creating drawings of local churches that were comprised of the names of the parishoners. Note St. Peter Lutheran Church as such an example. Quite clever, isn’t it? 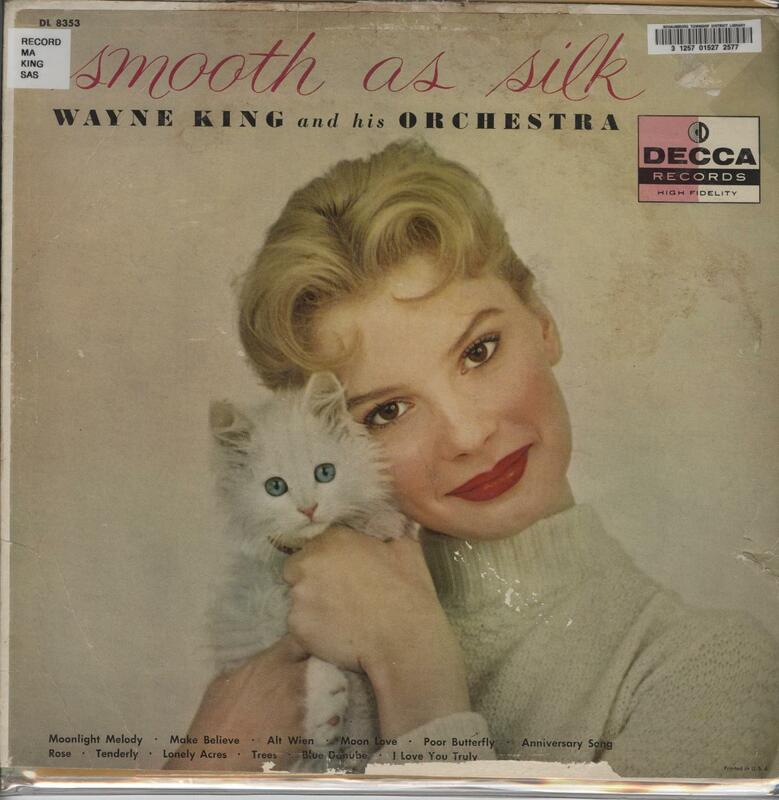 Mr. Link passed away in 1971 at the age of 86. At the time of his death, his family had lived in Schaumburg Township for almost 40 years. Two years later School District 54 honored him by giving his name to a new school on Biesterfield Road. 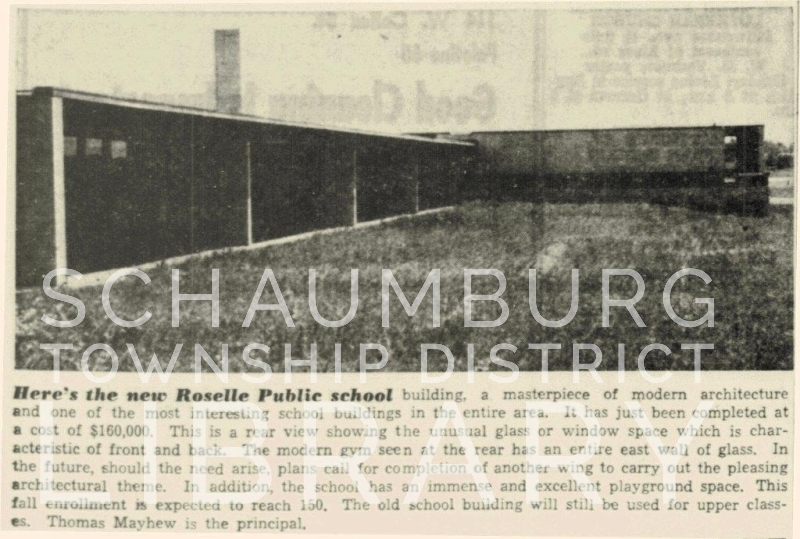 S. Guy Fishman, the architect then presented the building to Donnie Rudd, President of the District 54 Board of Education and Wayne E. Schaible, Superintendent of Schools. Robert Link, son of Adolph Link, was then honored to give the dedication response. As part of his comments he read the following poem written by his father at the age of 83 in 1968. As pretty as any I have seen. As I feel she should take a bow. To flutter about and give me a thrill. With so much vacant land nearby. Brings me the latest news from far and wide. And admonishing us to help them to win. I can still vote for a president. Thank God I can still think and talk. Upon who much of my joy depends. My thanks to Sandy Meo for passing on the dedication program as well as a copy of the poem, typed by the Link and Reynolds families. It is wonderful to share Mr. Link’s legacy. The photo of Mr. Link is used courtesy of the Link and Reynolds families. The photo of Link School is used courtesy of wikimapia.org. If you were in Schaumburg, Conant or Hoffman Estates High Schools in the 1970s, I’d like to pick your brain. I recently stumbled across a newspaper article from a 1979 issue of the Voice that discussed an oral history project that was happening at Schaumburg High School. 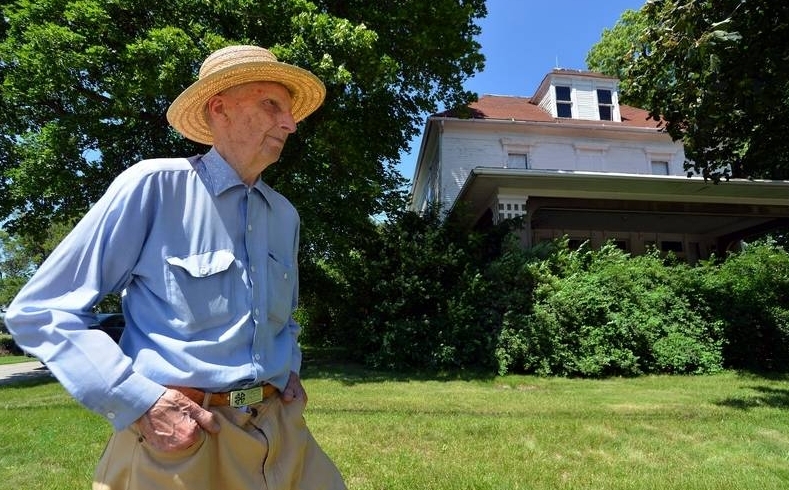 In this particular article, students–and sisters–Cathy and Mary Edlemann were interviewing Herman Redeker who was descended from the family who owned a good portion of the Spring Valley property. 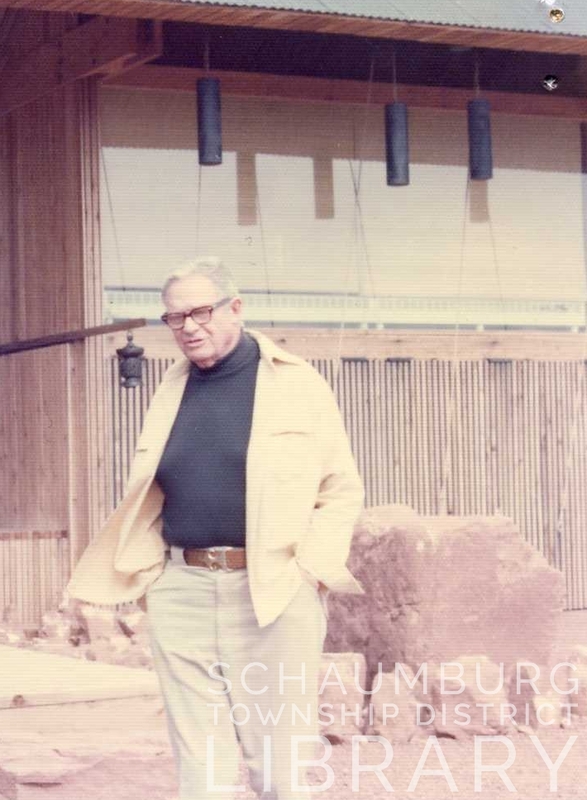 I know there were other oral history projects done in the area because William Thies, another long time Schaumburg Township farmer was also interviewed. His daughter is aware of the project and has told me about it. The library is trying to track down the schools that did the projects and any of the students who participated. 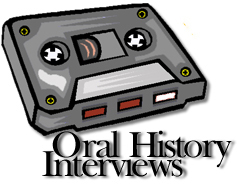 Ideally, we would like to have a copy of the cassette tapes that hold the oral histories. It would be a great addition to our collection and provide us with insights we may not be aware of. If you can help, please contact Jane Rozek, Local History Librarian at jrozek@stdl.org or 847-923-3331. Our guest contributor this week is Pat Barch, the Hoffman Estates Historian. This column originally appeared in the April 2013 issue of the Hoffman Estates Citizen, the village’s newsletter. The column appears here, courtesy of the Village of Hoffman Estates. 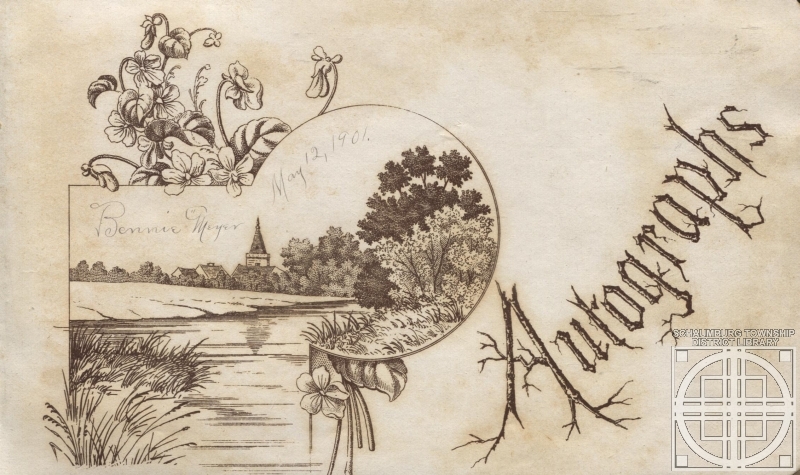 Jane Rozek, who is the Schaumburg Township District Library’s local history librarian, posted a wonderful blog on the library’s history website detailing the entries in young Marie Quindel’s autograph book that dated back to 1899. 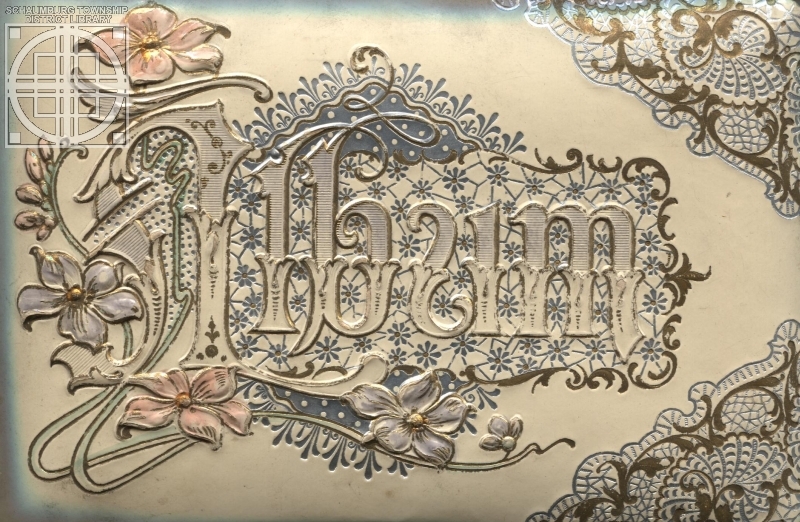 It only seems fitting that I should share our Hoffman Estates Museum’s autograph book with you also. After reading Jane’s blog, I knew I wanted to tell you about young Bennie Meyer’s book. You see Bennie Meyer grew up to become Marie Quindel’s husband and their farm was on Higgins Rd. 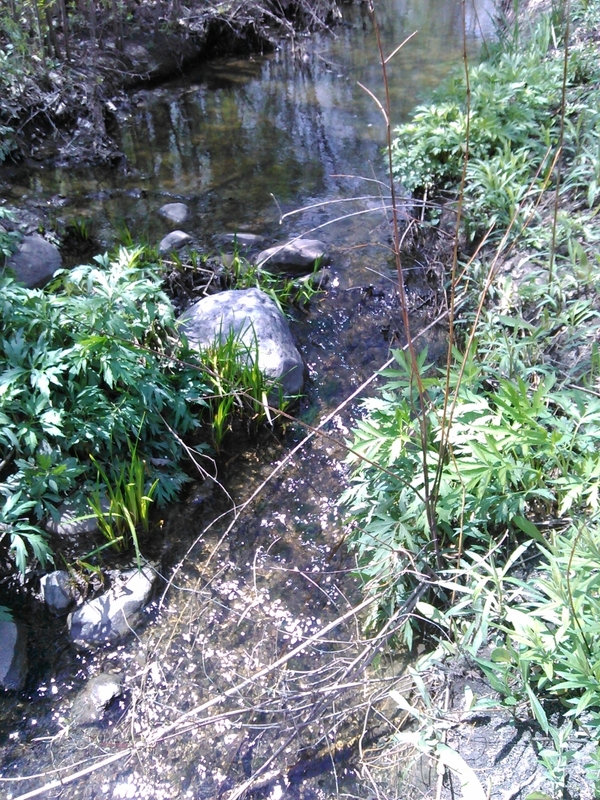 just west of Gannon Dr. His little book was dated 1901. Bennie Meyer’s autograph book was filled with school chums, neighbors, relatives and friend’s greetings and best wishes. Page after page reads like a who’s who of the young children who grew up to become the well know farmers of the area. Greve, Volkening, Gieseke, Fasse, Fenz, Nerge, Springinsguth, Hattendorf, Lichthardt, Hartman and Kastening are some of the more than 41 autographs in Ben Meyer’s elaborately imposed ivory covered book that’s still protected by the original box stamped “Made in Germany”. The children dated their sometimes humorous or serious saying, ranging from 1901 through 1912 beginning with Ben signing “Bennie Meyer, 1901” on the first page. His sisters, Martha and Matilda were the first to sign his book. The last autographs were written on February 3, 1912 by his nephew and nieces, Bennie, Emma and Amelia Volkening. 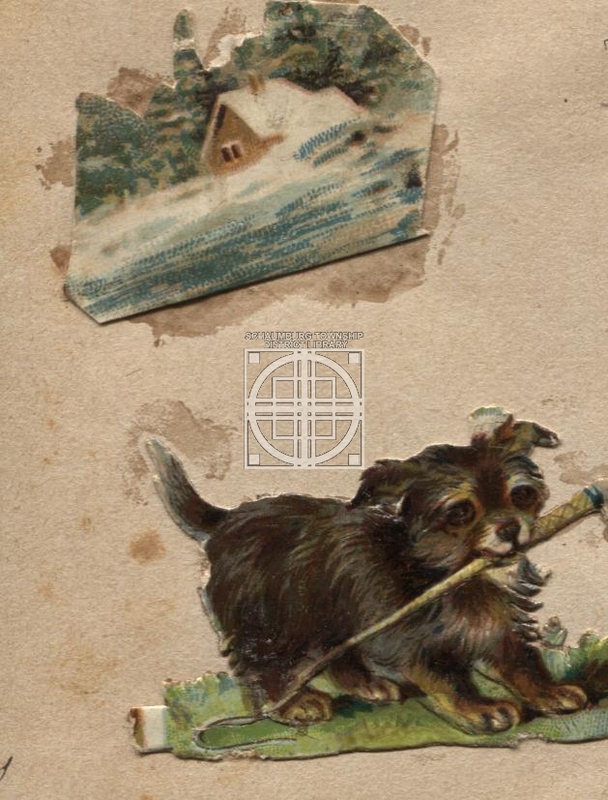 Hermine Fenz wrote “Dear Bennie, May your virtues ever spread like butter on hot ginger bread. I’ve looked these pages o’er and o’er to see what others wrote before and in this little lonely spot, I’ll here inscribe forget me not. Remember your friend, Hermine Fenz.” It was dated Jan. 27, 1902. The 112 year old autograph book came to our museum from Marie and Bennie Meyer’s son Roger. It’s an irreplaceable treasure of sentiments from the children who grew up on our local farms. They became local leaders in the Schaumburg Township community. As you drive through the area, you’ll see many of their names on our road signs. Roger Meyer moved away to a new farm. He lets others do the farming and now enjoys the peace and quiet of the countryside. His donations to our museum include the beautiful spinning wheel used by his grandma Greve and a photo of her sitting at the spinning wheel. But what I love the most is his dad’s (Bennie’s) autograph book. It gives a look into these happy childrens’ lives more than 100 years ago.